ANDOVER – Learning literally paid off for several PV Primary School students on Thursday, Sept. 6 in Andover thanks to the organization of several teachers in organizing this year’s summer reading rewards carnival. (From Sept. 14 edition). 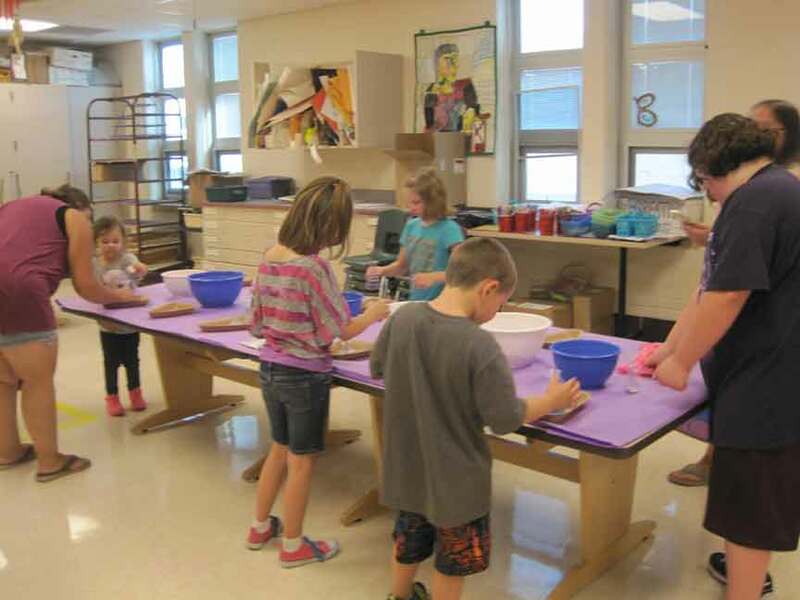 According to Fourth Grade Teacher Nichole Miller, the teachers have been putting together the special event to thank children for their effort over the summer for about five years now in the district. Like Miler, many other teachers felt the same including Kelly Bonds and Jo Silvers. While many of the teachers showed their gratitude in having the students involved in summer reading, many parents and kids were also appreciative for the special event as well including Andover residents Audra Williams who attended with her nine-year-old son Paxton, as well as Don Decker who attended with his daughter Reagan. “I think it’s great they’re doing this for our kids,” said Williams. Much like Williams and Decker, Pierpont native Amanda Hudson, Conneaut residents Jill Specht and Marissa Demarco, Deanna Donaldson from Kinsman, as well as Sabrina Jordan from Roaming Shores also found the special night to beneficial to the students as well. “So far it looks like a pretty decent amount of activities and a good incentive to do reading activities over the summer,” said Hudson. “I think it’s an exciting thing for the kids to do at the school,” said Demarco. “It’s great because it really encourages them to read over the summer and I think it helps them transition back into the school year,” said Specht. Pictured: A few children creating sand art during PV Primary School’s rewards carnival on Thursday, Sept. 6 within Andover.